We have only one clinic and it’s located in Mumbai; however, our website attracts couples from across the globe. Since many of them can’t afford to travel to India, they often request me to refer them to a reputed and reliable local IVF clinic for their treatment. This is not something I routinely do, and there are a number of reasons for it. If I suggest a particular name; it means that I trust this doctor will do a good job with the IVF treatment. However, it’s difficult for me to be able to vouch for a doctor I’ve never met. It’s not that I’m unwilling to share information; it's just that it becomes very difficult to ascertain how professionally competent other clinics are. Apart from this, I strongly believe that the vibe between a patient and the doctor plays a very important role in IVF treatment. Trust is an integral part of the doctor-patient relationship, and this is too important to be outsourced! Since trust is so intangible and personal, it’s important that the patient find a doctor they can trust; and this is something only they on their own can do. It’s unfortunate that most patients mistrust their instinct. They feel intimidated by doctors and feel they can’t judge their competence. While it is true that it’s very difficult to judge the doctor’s medical competence, it’s not difficult to assess their compassion and empathy during the consultation. There may be times when you consult a doctor who doesn’t have a big brand name; but if the chemistry is right, patients should factor this aspect while making this important decision. Patients need to go through the process of finding the right IVF clinic for themselves, rather than taking a shortcut and blindly accepting another doctor’s recommendation. • How well equipped is the clinic? • How long have they been doing IVF? • Do they have a fully staffed IVF lab? • Do they have a full time embryologist? • Does the doctor travel a lot? • Do they have an army of assistants who provide the actual care? • How accessible is the doctor? 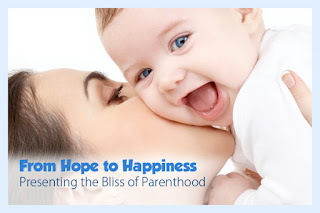 • Interview at least two different IVF clinics. One of the questions you should ask is – “Why should I come to you as compared to going to the other doctor?” While some doctors may take offense at this question, a good doctor understands that patients are confused and need help in making such a vital decision. They will do their best to explain to the patient why they the right for them; without bad-mouthing the other doctor! This kind of personal interview provides valuable information – both explicit and implicit. • Do they reply to your emails? Are your phone calls returned? You should test this before actually signing up for your treatment! • This means you need to use an intelligent mix of both publicly available information (website, patient reviews, and published success rates) and your gut feel when selecting an IVF clinic. Selecting the clinic which is right for you will considerably improve your chances of success.